Have a big outdoor adventure this fall in the historic town of Harpers Ferry, West Virginia. The fall foliage will be at its peak in mid October and nowhere could the views be more spectacular than at the confluence of the Shenandoah and Potomac Rivers. The delightfully scenic and quaint town of Harpers Ferry is full of historic buildings, museums and shops. You may even see character reenactors walking around the city portraying historical figures from the past. There are plenty of places to eat and drink and enjoy the magnificent scenery along the riverfront. We start our day with an exciting fun outdoor adventure. 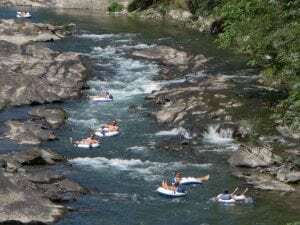 Open year-round, River Riders is the place for outdoor adventure in Harpers Ferry. 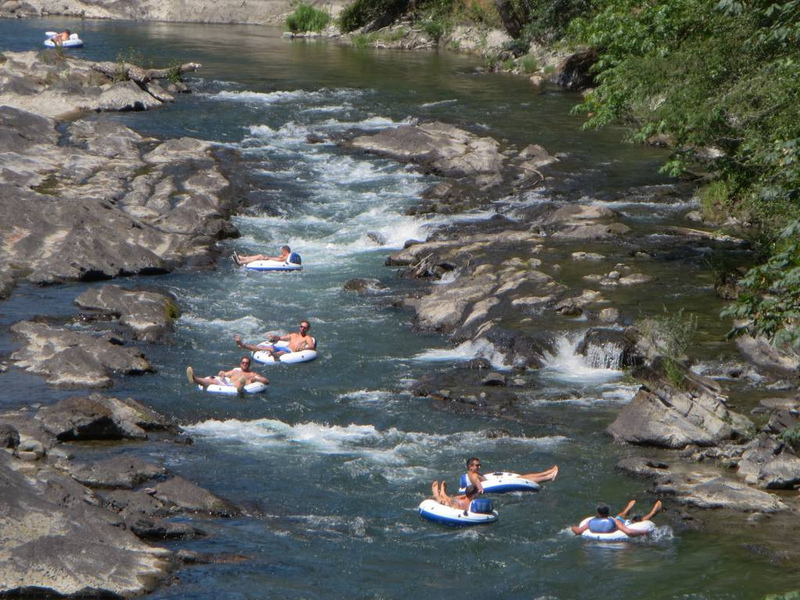 The autumn season is the perfect time to experience zip lines and white water rafting and River Riders’ outdoor professionals will guide you through a thrilling adventure. We recommend The Harpers Ferry Zip Line Canopy Tour that lasts for 2 1/2 to 3 hours. It is a spectacular zip line experience that offers nature lovers and thrill seekers alike the unique opportunity to zip through the treetops on a network of cables and adventure sky bridges suspended high above the forest floor, overlooking the Harpers Ferry water gap, Potomac River, rock cliffs, wildlife, trees, and plants. Guests will be instructed by two professional guides as they conquer elements such as 8 zips from 200 to 800 feet in length, 4 belayed tandem ladder climbs, 2 suspended bridges, and a 25 foot rappel from the final platform. The seven 65 foot towers feature 13 tree houses. What to wear and bring: Closed toe shoes and comfortable clothes. This trip is suitable for anyone who is at least 5 years old and older and weighs between 40-250 pounds. Guests weighing less than 120 pounds will tandem on several zips during the tour and will solo on the rest. 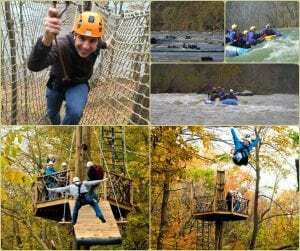 After your zip line adventure, you will travel to downtown Harpers Ferry. The bus will let you off to roam around the town on your own to explore the historic buildings and museums. A great place to stop for lunch is at Bistro 1840, located inside the Town’s Inn. 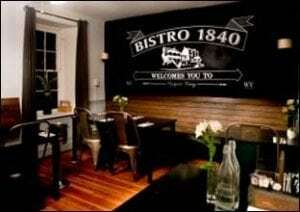 Bistro 1840 was recently featured in June 2016 on Gordan Ramsay’s TV show, “Hotel Hell” and underwent a major makeover that included a new menu, new décor and a new executive chef, Christian Evans. The restaurant is one hundred percent scratch kitchen, which means that everything is freshly prepared in-house every day. Their updated menu consists of yummy soups and salads, steak, salmon and mouth-watering french toast. Try a strawberry shortcake slider for dessert! 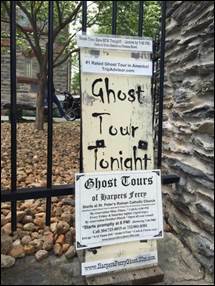 What could be more fun than the Ghost Tours of Harpers Ferry?! “O’ Be JoyFull” Historical Tours and Entertainment runs the ghost tours and it is the #1 tourist activity in Harpers Ferry. Tours are led by a costumed guide carrying a lantern who takes you on a 90-minute walk around the city. You will learn about the ghostly phenomenon and paranormal activity from the past (and present) that goes on in the centuries old buildings. Public tours start at 8:00 pm in front of St. Peter’s Catholic Church on the hillside, but you can arrange a private tour for your own group earlier in the afternoon. 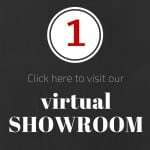 Click on their FAQ page for more information. Our perfect day ends with a last call on the way home at Mad Horse Brew Pub. 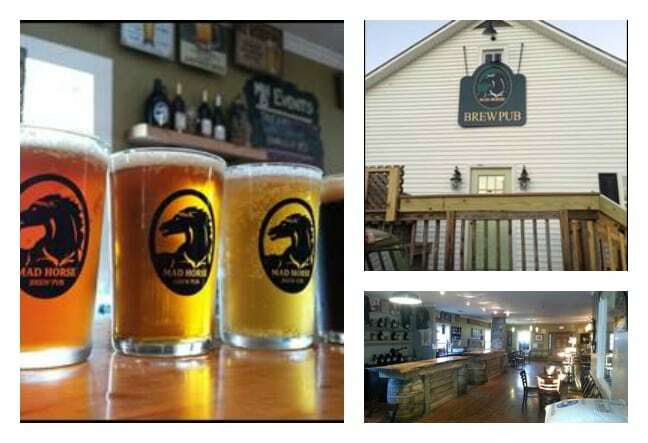 Mad Horse’s cozy casual atmosphere makes it a nice stop for relaxing and enjoying a beer or beer tasting. Open mainly on evenings and weekends; check their schedule of open hours before your visit. Offering homemade brews with names like Mogadishu Mile Lager and Battle of the Bulge, they also offer a few selections of pub food and sandwiches, as well as their own non-alcoholic Mad Horse Root Beer. Close to the dive side on the venue meter, the Mad Horse’s rustic ambiance of wooden bar counters sitting on top of wooden barrels makes it a comfortable place for just about everyone. Live music and open mic night are other fun happenings you will find there and the friendly wait staff makes it a popular hangout with the small town locals. Interested in taking your own experiential tour to Harpers Ferry without worrying about driving? We have vehicles ranging in size from sedans to motorcoaches and can accommodate any size group. 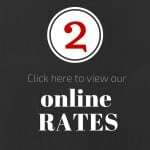 Booking your vehicle is as easy as 1-2-3!